Thermally solidified, air permeable, dimensionally stable, solvent-resistant 100% pure polyester nonwoven fabric is used extensively in conservation and restoration. Polyester nonwoven fabric is an inert material with very high tensile strength. It is suitable for a lot of conservation work, such as e.g. as underlay or intermediate layer for fragile objects, carrier material for washing paper, for gluing, lamination and amendment of defects, and as underlay or intermediate layer when drying wet objects. 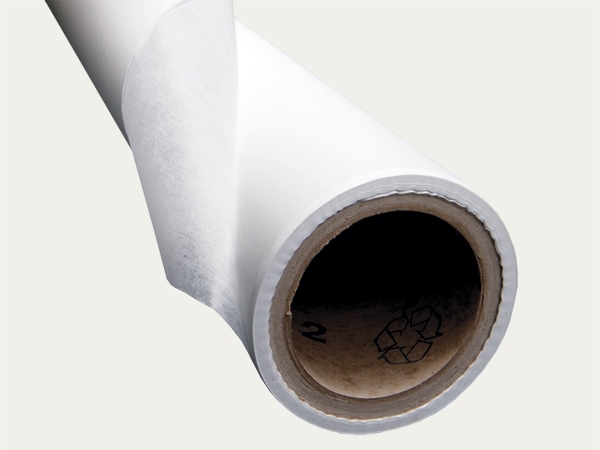 Polyester nonwoven fabric roll, 30 gsm, thermally bonded, air-permeable, chemically inert with an extremely smooth surface finish. The release material can be used for many different types of preservation and restoration work, for example like a carrier-support while soaking items in water and as interleaving material.